Item Size: (A)H-27.5", L-10", W-4.5"
Leveraging on our vast industrial experience in the industry, we offer wide range of Towel Holder that is quality assured and are manufactured using raw components and ultra modern technologies. We offer them in standard sizes and dimensions and add attractive look to the installed area. Towel Holder ensures perfect finishing. 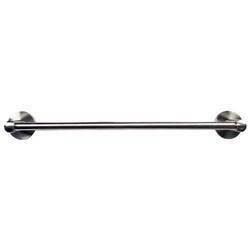 Towel rod available in 24" , 30" and 36"..